CONCORD, Mass. — Welch’s, the world’s leading seller of Concord and Niagara grape-based products, has appointed Trevor Bynum as President and CEO, effective October 1, 2018. Bynum succeeds Brad Irwin who will be retiring after 10 years leading the organization. 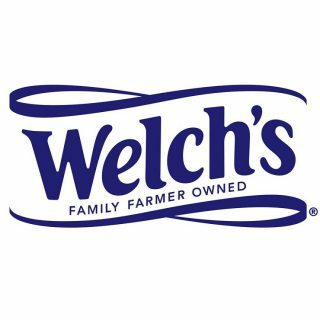 Bynum brings to Welch’s close to 20 years of CPG experience with many notable brands, as well as eight years of service in the United States Army, where he achieved the rank of Captain. After graduating from the University of Pennsylvania with a bachelor’s degree, Bynum earned an MBA from the University of Minnesota’s Carlson School of Management. Bynum has held several prestigious marketing, general management and leadership roles within the CPG industry, including General Mills and White Wave Foods. Bynum has a highly successful track record driving top line and profit growth in the face of commodity and category headwinds and most recently served as president of the foodservice division at Schwan’s Food Company. “We are thrilled to welcome Trevor Bynum to Welch’s on the eve of our 150th anniversary. His wealth of experience in the CPG industry will help our teams achieve our growth objectives while we tackle the industry-wide concerns with transportation and commodity costs” notes Tom Wilkinson, Chairman of the Board. Headquartered in Concord, Massachusetts, Welch’s has been delivering the goodness of Concord grapes that are picked at their peak and pressed into juice within eight hours of harvesting for almost 150 years. Welch’s was assisted in the search by Jennifer Christensen of JWC Partners, out of Chicago, IL. Welch’s is the processing and marketing subsidiary of the National Grape Cooperative. Located across America and in Ontario, Canada, the cooperative’s approximately 800+ family farmers own the company and grow the delicious and inherently healthy Concord grapes used in Welch’s juices and other grape-based products. Welch’s is committed to research and development that will meet the growing demand for products that address consumers’ health and nutrition needs. Welch’s products are sold throughout the United States and in approximately 40 countries around the globe. Welch’s is an Equal Opportunity Employer-Minorities/Female/Disabled/Veterans.